Very light. Easy power, designed for touch players. Mid balance, stiff construction. 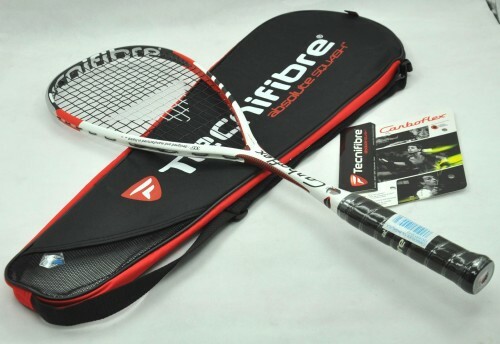 The Tecnifibre Carboflex 130 Squash Racket with Texalium Technology. Texalium, developed by Hexcel, is an exclusive fibre mostly used in aircraft and spacecraft industries. The secret is its stiffness to mass ratio is exceptional and its specific weaving provides unprecedented power and resilience despite its light weight. The results: Texalium provides increased ball speed while maintaining outstanding feel. Vanessa Atkinson's, World#2, racket. Head size: 510cm² / 79 sq.in.